Forgings can withstand extreme pressure and maintain structural integrity under stress. Once produced, forgings have a broad range of uses for military application as well as other industries ranging, such as heavy trucks, medical supplies, automotive parts, aerospace, ect. The forging process creates military parts that are stronger than those manufactured by any other metalworking process. Forging takes advantage of the metal’s natural grain flow, shaping the grain flow to conform to the contours of each part’s unique geometry. This grain flow contouring is lost when cutting through the grain by machining it and is also lost when casting parts. Forging offers a single piece versus a welded unit, as the weld quality can be hard to replicate without additional inspection. 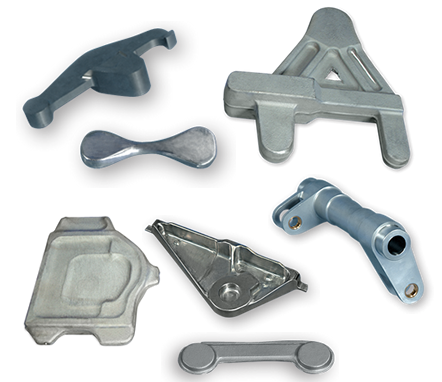 Fly Drop Forge supplies a series of closed die forging solutions of drive train, driveline yokes, shifter forks, parking sprags, steering yoke forgings and other military specific forging products for defense equipments. Our goal is to provide defense and military companies the quality forged parts for large defense equipment or any other defense and military needs. Our combined capabilities are truly unmatched when it comes to forgings for the Military industry. Fly Drop Forge produces precision crafted military forgings and components. 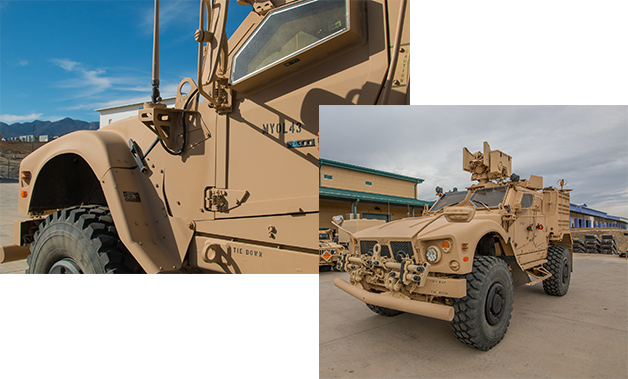 We have a long history of supplying Military OEMs. Many of our forged aviation components are considered defense industry standards. We produce our military metal forgings and machined components to ensure successful, military mission performance.